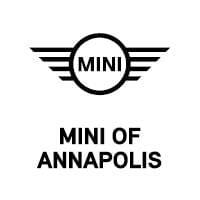 With its iconic style and industry-leading performance, MINI Coopers have been taking over the roads in Annapolis, Highland Beach, and Hillsmere Shores for some time. However, these luxury vehicles have more than meets the eye. 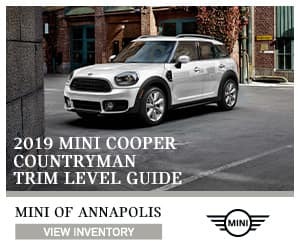 To show you what this vehicle has to offer, the pros at MINI of Annapolis have created this 2019 MINI Cooper Countryman review. Below, you can find everything you know about this exciting car, making your decision that much easier once you get to the dealership. Under the hood of the MINI Cooper Countryman, you’re going to find impressive technology that makes your ride feel like quite the powerful dream. Standardly, you’ll receive a 1.5L 3-cylinder TwinPower Turbo engine, supplying 134 horsepower and 162 lb-ft of torque. With this kind of power, you can accelerate from 0 to 60 MPH in just 9.3 seconds. To give you even more oomph on the road, opt for the available ALL4 all-wheel drive. This system supports optimal driving, no matter the weather or terrain. No matter which configuration you choose, you’re in for the drive of your life. To lead its class even further, this vehicle incorporates a ton of available special tech features that keep you connected, safe, and happy while hitting the streets. Apple CarPlay™ – As the smartest way to integrate your smartphone into your vehicle, this system allows you access to navigation, music, and maps without taking your eyes off the road. You can also make phone calls and send messages with your onboard interface or by using Siri. Touchscreen Navigation – Save time and arrive on style with real-time traffic updates and a top-of-the-line navigation system, proven to get you there in the best way possible. Adaptive Cruise Control – Included with engine and braking control, this system helps you maintain a constant speed and distance between you and the cars in front. Power Tailgate – This keyless entry feature lets you open your cargo area door even when your arms are full. Simply wave your foot under the rear bumper while your keys are close, and it pops open for easy loading. Your Countryman does everything in its power to keep you safe on the road, which is why it has many safety features that work with you while you drive. From an ultra-rigid body that is as durable as it is stylish to LED headlights to light your way, nothing stands a chance. It also comes with an advanced airbag system and an Active Driving Assistant. This system helps with forward collision warning and emergency braking when you need it the most. 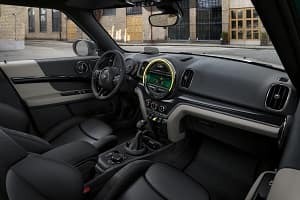 Now that you have read our 2019 MINI Cooper Countryman review, you’re ready to see what this vehicle can do for yourself. To hit the open road in the Annapolis, Highland Beach, and Hillsmere Shores areas, schedule a test drive today! Our team is always happy to assist with your buying journey in any way possible.